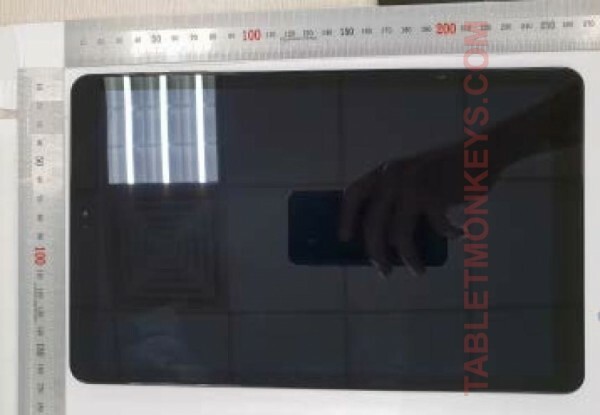 Not long ago, we saw a Samsung tablet with the name Galaxy Tab A2 XL have its images leak and today’s report from SamMobile breaks down the alleged specs of the mid-range tablet. According to SamMobile, the Galaxy Tab A2 XL is a mid-range tablet with a large 10.5-inch display using a 1920x1200px resolution. Powering the device is a 7,300 mAh battery and a Snapdragon 450 CPU paired with 3GB of RAM. There will be 32GB of storage and a microSD slot to fill with pictures taken with the 8MP main camera or the 5MP front-facing one. There’s also 5GHz Wi-Fi ac and LTE support, as well as Bluetooth 4.2. The Tab A2 XL will come with Android Oreo 8.1 out of the box. We’re also seeing that the tablet will have on-screen navigation keys and might feature face-unlock since it isn’t likely to have an iris scanner as predicated on the Galaxy Tab S4. The Samsung Galaxy Tab A2 XL is expected to go official around the same time as the Samsung Galaxy Tab S4, a Samsung tablet with S Pen features set to debut alongside the Galaxy Note9 on August 9 in New York City. Well then go ahead and tell me any Android tablet that you know with SD 845. Tablets usually come with previous year chips.